We encourage you to visit with us and to read the Westminster Confession of Faith to learn our specific doctrinal beliefs, but here is a brief summary of what we believe for your convenience. We believe in Sola Scriptura – which means that the Bible alone is the first and final authority in the church. 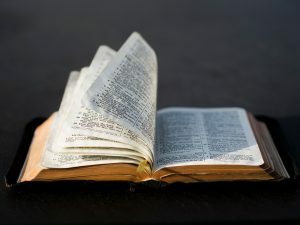 The Bible, we believe, is inspired, infallible, and inerrant. We believe in Sola Fide – which means that faith is the alone instrument of our justification. Justification is God’s declaration that we are “not guilty” in the sight of God. Since it is by faith alone, this means that the works of the Law can not justify a sinner. Over against the teachings of Rome, the Reformers stressed that no amount of good works can earn God’s favor. Only Christ’s righteousness, imputed to us by faith alone, can gain God’s favor for us. We believe in Sola Gratia – which means that since we cannot earn God’s favor, his favor must come to us by His good grace and mercy. Salvation is not something we can earn, but must be bestowed on us from above. Even our faith, by which we are justified, is given to us as a gift from God. We believe in Solus Christus – which means that it is Christ alone who saves and it is Christ alone through whom we can come to God the Father. We do not need any human mediators (priests, saints, etc. ), all Christians can come to God through Jesus and by the power of his Holy Spirit. We believe in Soli Deo Gloria – which means that since salvation is none of us, it is all of God. And if we did nothing for our salvation, but it was given to us as a gift from God, He – and He alone – receives the glory. All our boasting is in the Lord, and not in ourselves. Our worship services are characterized by beautiful simplicity and joyful reverence. But our fundamental principle is that worship is about God. From beginning to end God is the center and the reason for our worship. And so our worship is regulated by His Word, the Bible. Our service is filled with Scripture. Our sermons are expositional which means they consist in the opening and applying of the Bible. Usually the pastor preaches a series of sermons through books of the Bible with an occasional topical series. The Lord’s Supper is celebrated once a month and for all those who are trusting in Christ – and not themselves – for salvation, are welcomed to the table of the Lord. We believe that the Bible teaches Jesus gave the keys of the Kingdom to elders to rule his church. Their authority is, however, derivative and not original. That means that the elders of the church may only rule according to the constitution – the Bible – given them by their Lord. In our church the authority resides with what we call the session. The session is made up of the church’s ministers and its ruling elders. Ministers are called and ordained to preach the Word and administer the sacraments while ruling elders are called and ordained lay people who assist the ministers in the government of the church. We also have deacons who are responsible for taking the physical and mercy ministry needs off the shoulders of the session members and show the love and compassion of Christ to those in need.